Greetings and welcome to my corner of Fat Quarter Shop’s Clementine Quilt Along! I’m a longtime lover of all things Fat Quarter Shop, including the many quilt alongs offered, and this gorgeous Clementine quilt is no exception. First, you’ll want to drop by the Clementine Quilt Along page on the Fat Quarter Shop’s blog. This quilt along benefits the St. Jude Children’s Research Hospital . Fat Quarter Shop is partnering with Moda Fabrics to match up to $20,000 of donations made by us for this awesome cause. So even though the patterns are completely free, please DONATE today! Next, if you love the fabric in the pictures (and how could you not), you’ll want to order a Clementine Quilt Kit. I did and, if you’ve never purchased from the FQS, you’re in for a treat. I swear, it’s like getting a Christmas present the way they package things. Just look at all this. I adore the preprinted ribbons used around the fabrics. The kit also comes with a spool of Aurifil thread, and the included quilt label is adorable! The floral printed fabric is my backing for the quilt. The Clementine Quilt Along runs for seven months, releasing a free downloadable pattern on the 25th of every month from January to July 2018. And remember, donations are accepted for the downloads which benefit the St. Jude campaign each time you download the patterns. And here are my Watermelon Wheel blocks for January. Just a heads up, when you’re thinking “Oh, it’s only two blocks,” it’s still going to take a bit of time. 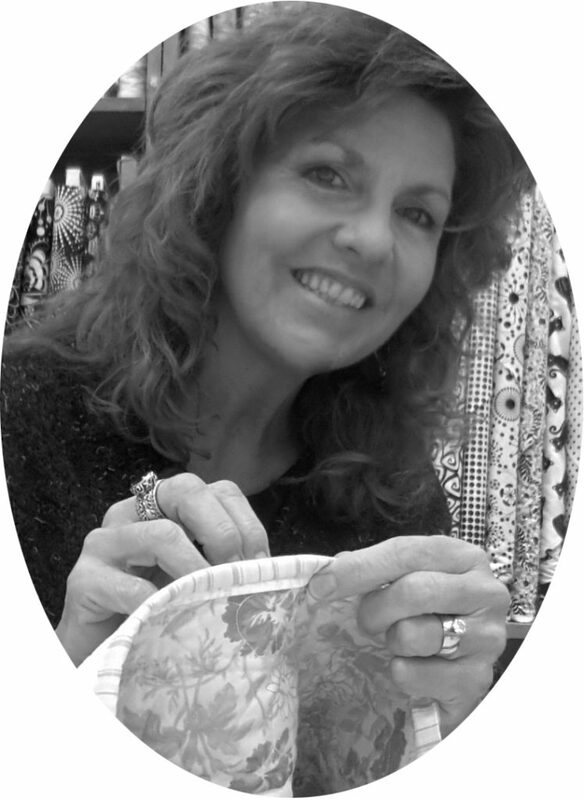 Visit the designers and quilters who are sewing along on their blogs and Instagram! Please share your progress and creations on the 2018 Clementine Quilt Along Facebook Group! And post your blocks using #clementinequiltalong on Instagram and Twitter!